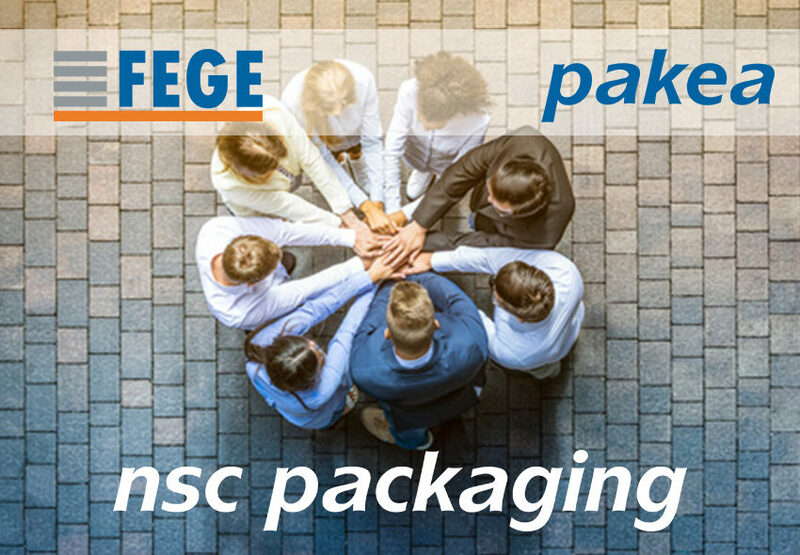 Present for many years within the Packaging Pole of the NSC Group, the PAKEA and FEGE companies have since January 1, 2019 joined their activities under the same legal structure named “NSC PACKAGING“. This evolution will now enable NSC PACKAGING to offer you a wider range of equipment by completing the supply of cardboard container production lines (PAKEA) with end-of-line solutions (FEGE). To serve you, the PAKEA brand, based in Rixheim (France-68), will continue to manage the design and assembly of Paper Converting lines (machines to manufacture cardboard tubes and cores, cardboard sections and cardboard drums) as well as packaging lines (machines to manufacture composite canisters – bodies and closures). The FEGE brand, based in Vouziers (France-08), will continue to design and assemble automated and robotic end-of-line equipment (conveying systems, accumulation tables, robotic cells for palletizing / depalletizing, emboxing / deboxing, loading/unloading, air dryers …). Discover FEGE! Pending the very soon participation to your projects, the whole NSC PACKAGING team wishes you an excellent year 2019.